When naturalist John Muir visited Glacier in 1901, he wrote, “Get off the tracks at Belton Station [now West Glacier] and in a few minutes you will find yourself in the midst of what you are sure to say is the best care-killing scenery on the continent.” Muir’s words are still valid today in this beguiling landscape of peaks, meadows, wildflowers and meltwater lakes fed by rills tumbling down off the park’s namesake ice shelves. 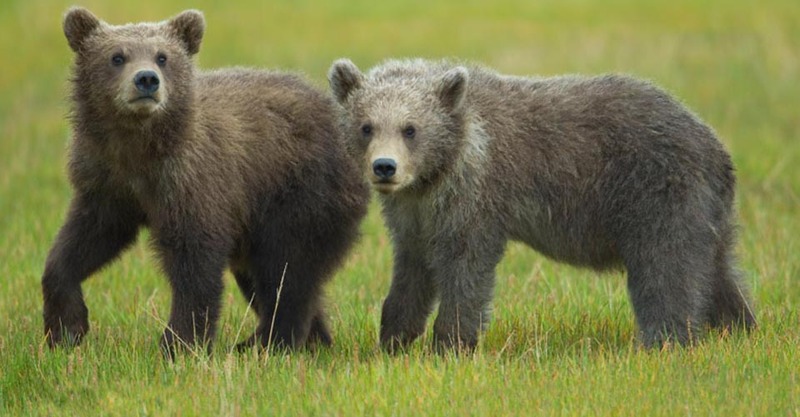 Subalpine forests and granite ridges are home to grizzly bears, mountain goats, elk and more. This rare small-group foray into the natural bounty of Glacier—plus Canada's Waterton Lakes National Park, which shares a border and an ecosystem—will refresh and energize contemporary spirits just as it did a century ago. 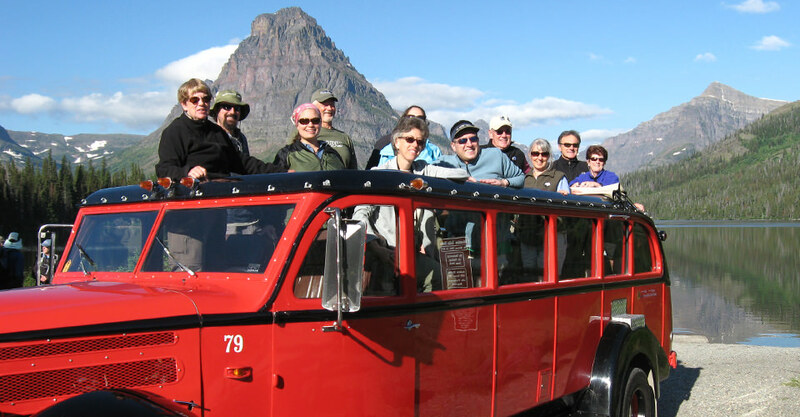 Why Choose Our Small-Group Glacier Adventure? Thinking of Doing it Yourself? Let Us Take the Hassle Out! You know what’s involved in planning your own trip: endless hours of research, questions, competing to get scarce reservations, then driving around trying to figure out where to go and what to do. In the process, you lose time and deal with a lot of headaches. Not only do we take the legwork and guesswork out, when you travel with us, you’ll know you are getting an experience that far surpasses what you could arrange on your own. Imagine trying to experience the beauty and wonder of Glacier from a bus with 45 other passengers. Now picture yourself in our small group, with just seven guests per vehicle (and no more than 12 guests total! ), each with a naturalist Expedition Leader. It’s basically your own privately guided adventure. It’s a vastly superior way to experience nature. We have the flexibility to move quickly to areas where wildlife has recently been spotted and to access more remote roads and areas that motorcoaches and even small buses cannot reach. At Natural Habitat Adventures, we know that physical abilities will vary within each group. Our Expedition Leaders understand this and are adept at accommodating a range of guests with different capacities and interests. To ensure that your needs are met, a second guide allows us to divide the group up according to physical ability and individual desires. This means you can hike at a comfortable pace on your own level without needing to wait for others or feel rushed. You won't find a better guide-to-guest ration anywhere! Our own staff Expedition Leaders have carefully designed our itinerary to reveal out-of-the-way corners of Glacier's diverse landscapes that big tour groups and most independent visitors miss. 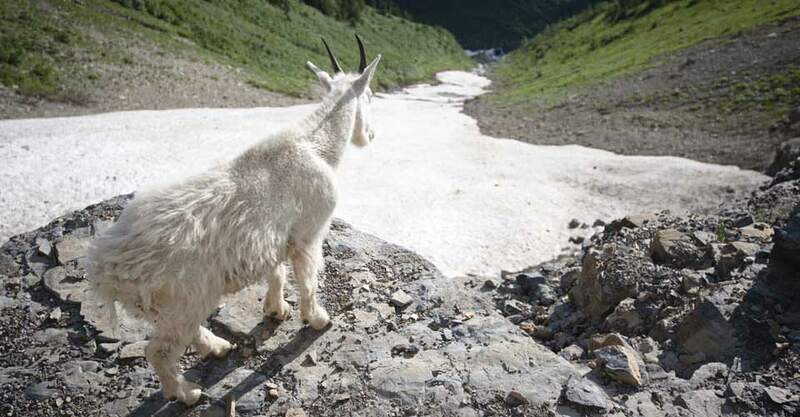 Our in-depth knowledge of the Glacier region allows us to take you to lesser-known areas where wildlife viewing is better and crowds are few. And you’ll see scenic vistas that are usually reserved only for hardy backcountry hikers! Our spacious private vans are a real contrast to big, noisy motorcoaches. Because we limit our capacity to just seven guests in a vehicle (dividing our group of 12 into two vehicles), not only does everyone get a window seat for easy photography and wildlife viewing even while we're driving, but there's plenty of room to spread out. You won't travel more comfortably! Our Expedition Leaders are professional naturalists with in-depth insight into the habitats we explore, the behavioral patterns of the wildlife we encounter, and the know-how to be in the right place at the right time to see animals and avoid crowds of other tourists. Guides with decades of experience lead our Glacier trips. They intimately know every trail, include lots of special stops and surprises that the casual tourist would miss and offer a wealth of information about everything from wildlife and biology to geology, natural history and Native American culture. Many people see our national parks on their own, but when you travel with our naturalist guides, you'll see, do and learn so much more. See Expedition Leader bios with traveler comments regarding the quality of our leaders. With Natural Habitat Adventures, you receive our exclusive guarantee, stating clearly that we will meet the lofty expectations we set forth in our promotional materials. We think this is the most ambitious guarantee made by any adventure travel company. Read our important promise. We all care about the planet, and you can embark upon this adventure knowing that the emissions from your trip are 100-percent carbon-offset—Natural Habitat Adventures is the world’s first carbon-neutral travel company. 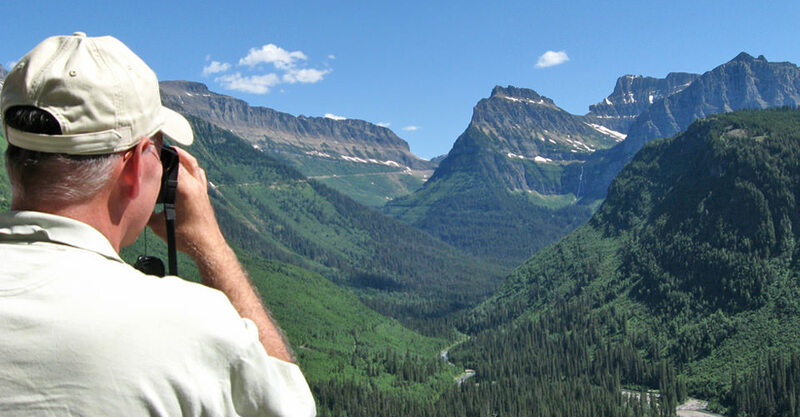 Fill out the form below to receive additional information about our Glacier & Waterton: An International Treasure. Hi Nat Hab, I’m interested in your Glacier & Waterton: An International Treasure. Can you please contact me with more information?